–Learn the racewalking technique for fitness or competition. More than just walking fast, it incorporates specific motions. -Racewalking is easier on your joints, yet allows for as much intensity as you wish. -Learn the rolling style that will enable more speed. -Use it to cross train for running, strengthens hamstrings and upper body with low impact. -Burns more calories than running at the same speed! 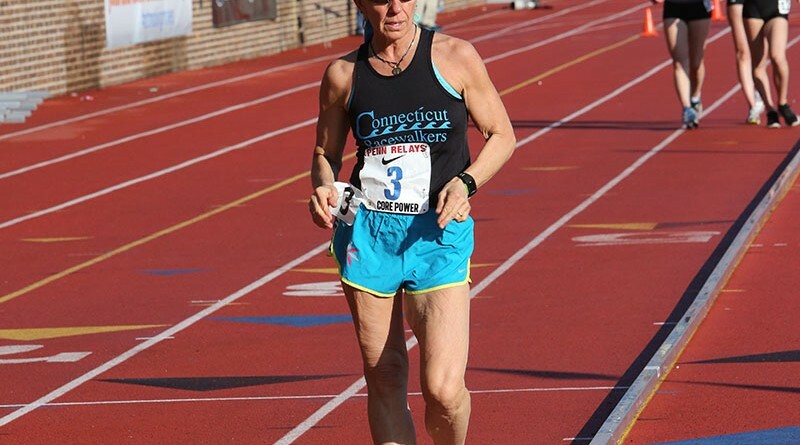 10,000M/5000m Awards – Open, Jrs and Masters / Ribbons for 1 mile fun walk. Please be prepared to keep count of your laps or bring someone who can. If you would like to use this race (10,000m or 5000m) as a qualifying race for Jr Nationals etc, please let us know ahead of time to be able to get the required number and level of judges. If you are entering on the day of, just send a quick e-mail that you are coming, so we know how many to prepare for, thanks! track is at the back. You will come to a traffic circle, crossing Rt 80, continue South on Rt 81. You will pass Morgan HS, then a small shopping plaza with Petco and Dunkin Dounuts on the left.